Britain has put in for yet another Brexit delay, but it seems nobody has told the Home Office. Mr Brady told the BBC: "For me to have the European Union wiped completely off my passport is good news", before adding his wife was very disappointed to get an old version. 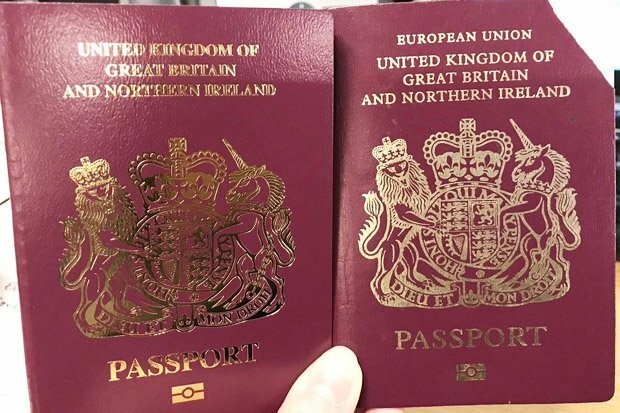 From the end of the year navy blue passports resembling the pre-EU British design are expected to be released. I assumed we would get the same old passport. The British government said on Monday it had taken the necessary steps required by law to participate in European Parliament elections in May, but that this did not mean it was inevitable Britain would take part. Last year, the UK Foreign office reported that after 29 March 2019, in the event of a no deal Brexit, a UK passport holder would be considered a third country national according to the Schengen Border Code, like citizens of other countries which do not belong to the EU or the European Economic Area (Australia, Canada and the USA). Steve Rowe said: "I received my new passport this week with a start date of 1 April, happy to say it still says European Union; I think we'll still be discussing Brexit when it runs out in 2029". A change in the design of the United Kingdom passport has proved a rallying point for Brexit supporters, with former UKIP leader Nigel Farage describing the 2017 decision to bring back the dark blue design as "Brexmas". "Both designs will be equally valid for travel".